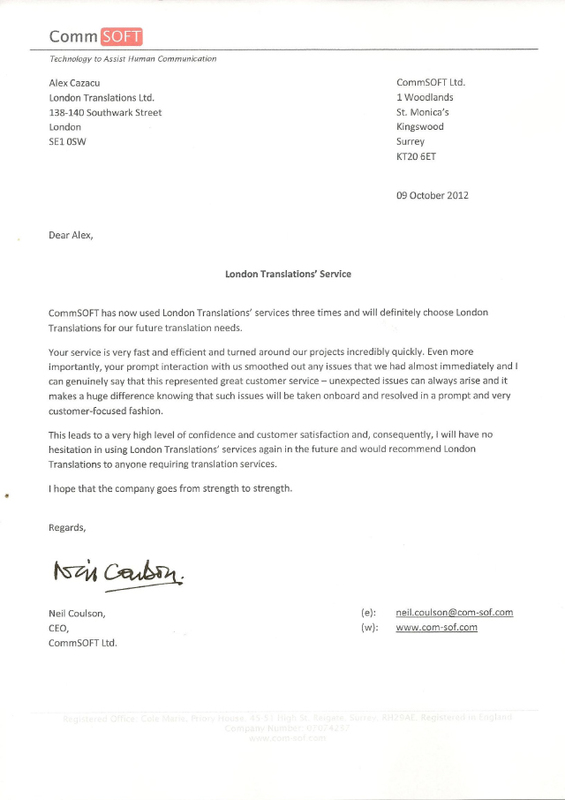 CommSOFT has now used London Translations’ services three times and will definitely choose London Translations for our future translation needs. Your service is very fast and efficient and turned around our projects incredibly quickly. Even more importantly, your prompt interaction with us smoothed out any issues that we had almost immediately and I can genuinely say that this represented great customer service – unexpected issues can always arise and it makes a huge difference knowing that such issues will be taken onboard and resolved in a prompt and very customer-focused fashion. 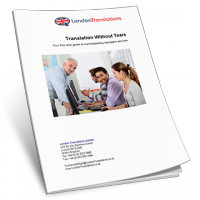 This leads to a very high level of confidence and customer satisfaction and, consequently, I will have no hesitation in using London Translations’ services again in the future and would recommend London Translations to anyone requiring translation services. I hope that the company goes from strength to strength.